Maui Laminates, Inc. was established in October 1989 by John and Stephanie Pahia. The family owned business is Native Hawaiian with a connection to the island of Maui. 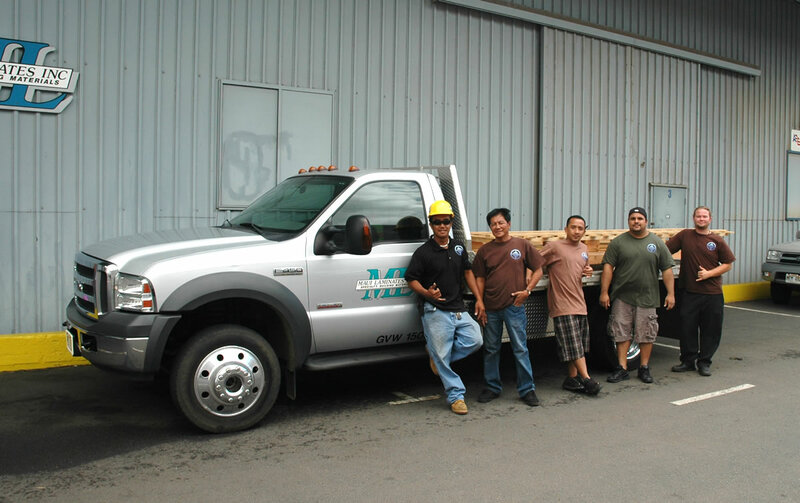 The business boasts over 50 years of aggregate expertise in providing excellence in service and materials to its Maui customers. Products provided include, laminates, solid surfacing plywoods, hardwoods, countertops, tools and adhesives. Special services include delivery cutting and custom countertop orders. Maui Laminates is a unique business catering to fabricators, contractors, home owners and woodworkers. Materials and tools needed by woodworkers and home interior design fabricators are constantly evolving & improving. It is the goal of Maui Laminates Inc. management team to meet these changes. Our staff is knowledgeable and pro active with its products and service. Our standards are high and we guarantee our products.